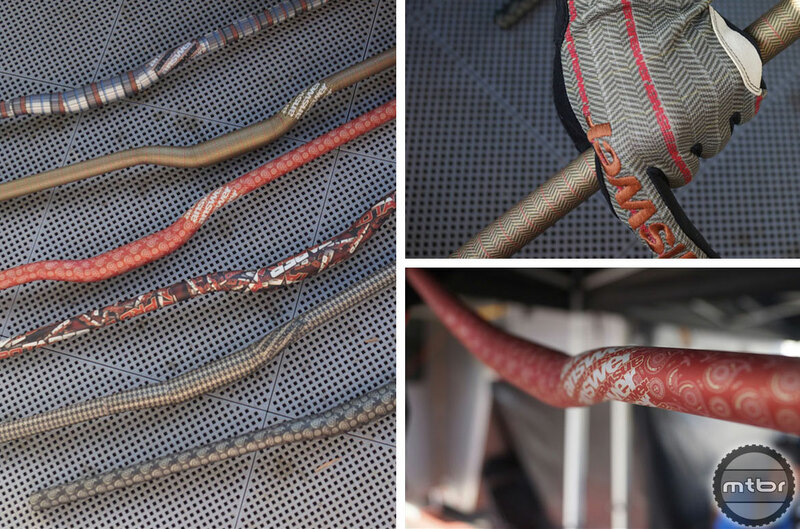 Easton showed their just-announced Haven 35 handlebar and stem combo at Sea Otter, adding a 35mm bar diameter option to the trail/all-mountain line of components. 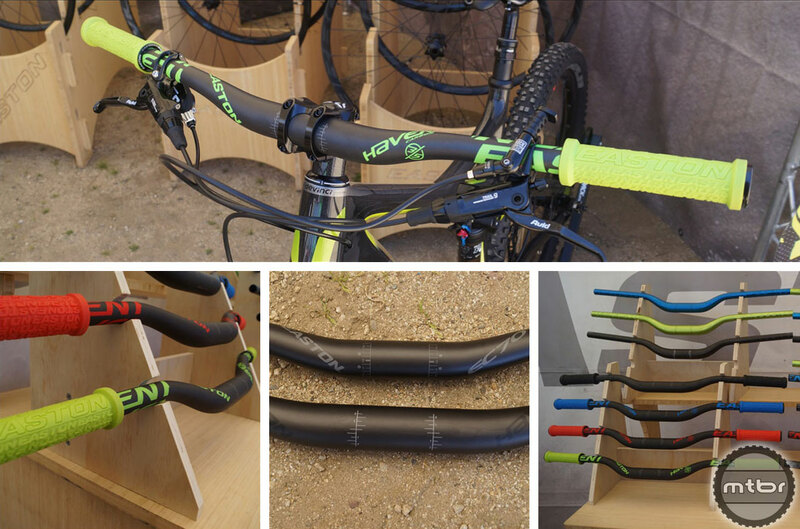 The company launched the bigger bar bulge on their Havoc gravity line in 2012, explaining the larger cross-section allows them to offer wider bars with the same strength and stiffness of narrower 31.8mm bars without adding excessive material and weight. At 188g, the 750mm wide Haven 35 is only 10 grams heavier than the 711mm Haven in 31.8, yet just as strong and stiff at the handgrip, despite increasing the length of the lever—i.e. wider bars. Easton displayed the Haven 35 in both the $160 carbon and $90 alloy versions in 20mm low- and 40mm high-rise versions. The $100 aluminum Haven 35 stem weights 138g and comes in lengths from 40, 50, 70 and 90mm. 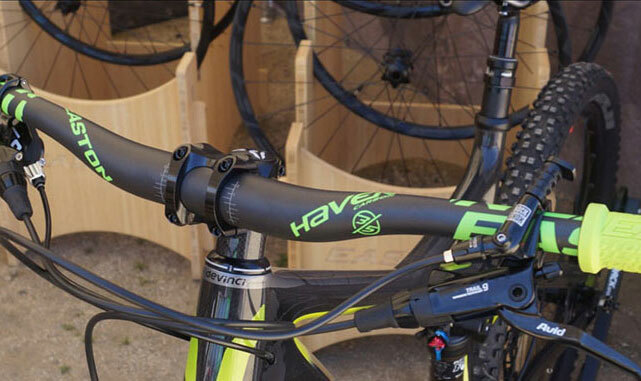 Easton will continue to offer Haven bars and stem in 31.8mm as well. 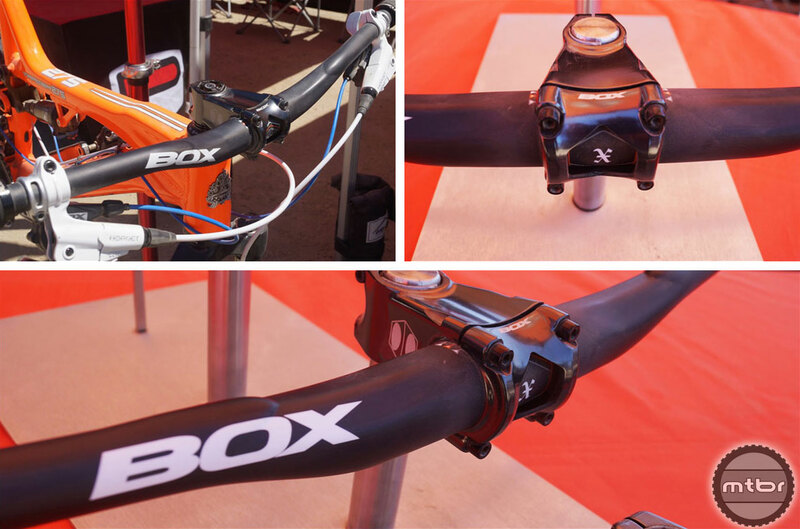 The bar mates with Box’s Cusp, a $99 3D-forged, zero-degree rise stem available in 45, 55 and 65mm lengths. Best known for their dropper posts, KS has joined the cockpit fray with a modest offering of new, lightweight 31.8mm bars and stems under the Ether moniker. The Ether handlebar is 780mm wide with 20mm of rise, weighing 207g in carbon and 322g in aluminum. 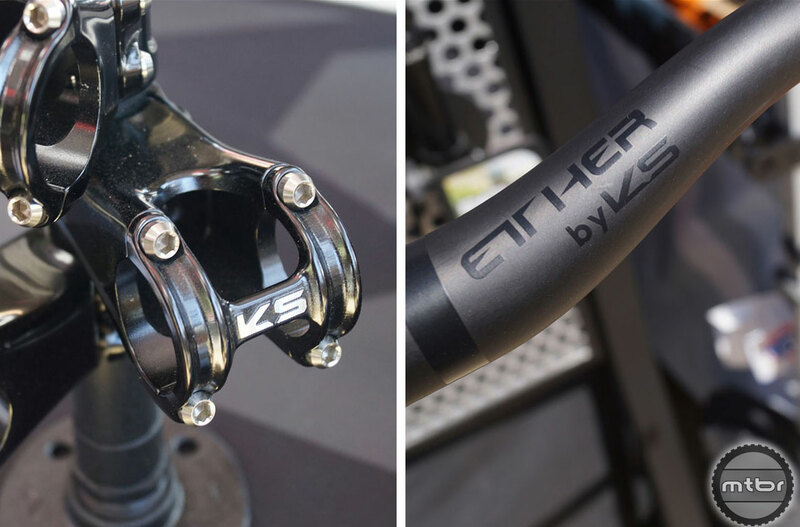 The aluminum Ether stem features titanium bolts and comes in 50mm or 70mm lengths. Pricing and on-sale date has not yet been announced. 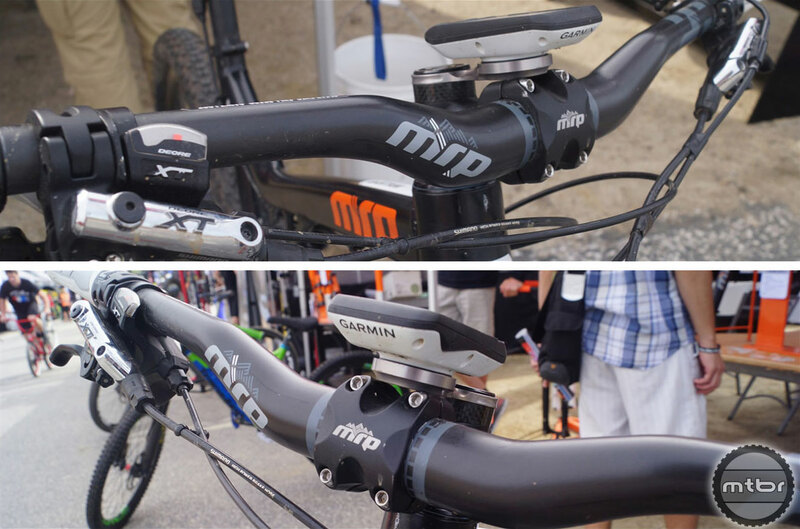 Though MRP’s HB-1 handlebar and ST-1 stem are not yet available, the company’s marketing and sales duo of Noah Sears and Nick Simcik were each running prototype versions on their personal bikes which they both rode on Sea Otter pre-rides with Mtbr, and had on display in their booth at the event. The bars are a whopping 830mm wide, and judging by the way these two shred, they work pretty well. Pricing, weights and availability have yet to be announced. Gear maker Answer looks to be fishing for hipsters with its Gentlemen’s Collection of matching handlebars and gloves. Available in flannel, houndstooth, paisley and tweed, these $90, 780mm wide ProTAPER alloy bars weigh 335g and are available for 31,8mm stems in 12.7 or 24.4mm rise. Answer makes coordinating gloves for the flannel, houndstooth and tweed color ways for you matchey-matchey types.